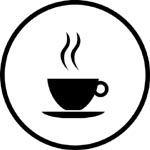 Home C Coffee: How Much Coffee is Enough? Coffee consumed in moderation can be both enjoyable and safe. Most experts agree that three cups a day is enough to stay within the healthy dose of 300 milligrams of caffeine per day. This estimate is based on the general healthy population and includes all sources of caffeine. When aiming to stay within the healthy daily recommendation, attention should be paid to the quantity of caffeine consumed from all sources, including coffee, tea, carbonated soda’s, energy drinks as well as dietary supplements and food, which will ensure you stay within the healthy range. To determine these values, the International Food Information Council Foundation suggests checking their website which lists caffeine values of various foods and drinks.